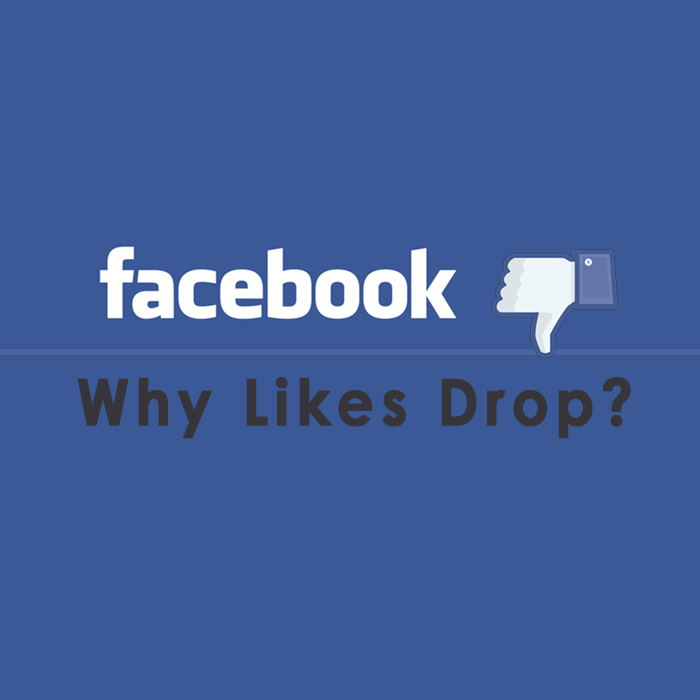 Why Your Facebook Likes Dropped? Attention span of the audience can be challenged but they cannot be engaged for long to a particular ad. New commercials grab attention and they do not stay interested in the previous ones. Promotional updates aim to increase the visibility and number of fans but they keep on changing their interests and likes on Facebook as well. The likes count is likely to fluctuate as the old ones may leave once the promotional offer period ends, also the new ones adds into the club. Many fans or followers are very much inclined towards a subject, product, movie or celebrity only till these topics are gaining popularity on the network. The time such topics or events lose their relevance, such temporary audience keep on shifting from one subject to another. For instance, when a movie is about to release the audiences stick to the hype and buzz it has created but as soon as it releases and the reviews are not as they were expected. Suddenly, the interest drops down and so as the number of likes. Sometimes few number of followers or likes are not sufficient for a Facebook page. Hence, they try to improve the likes by using multiple accounts, these accounts are secondary on Facebook. Such accounts are removed or deleted most of the times, which leads to deduction of likes from on the page. Facebook supports only the real accounts and do not leave any fake or duplicate accounts. In order to gain large number of audiences, many profiles focus on gathering more attention of the masses. Their objective is to convince significant audience to buy the product or service. Such accounts then become fans of pages to post their links and those pages have nothing to do with it. These posts are also called automated messages through bots. They are supposed to get as many views and fans as possible. But unfortunately, such activities are tolerated for a short time only and people get irritated by seeing those annoying ads again and again. Resultantly, these accounts are deleted or removed from the fan page, the number of likes eventually drops. Currently, many such accounts are being discovered and considered to be unnecessary burden for the network and users. There are times when people go through different experiences in life and their outlook towards few things changes. For example, if a girl is liking a brand from a certain period of time that doesn’t mean that the phenomenon is going to last forever. There is a possibility that the girl might start using or liking a different set of things. Therefore, in such cases if the preference takes a shift then it would be a random and unexpected change. Even a recent introduction of a feature on Facebook allows you to automatically delete an account due to inactivity from a certain period of time. This means that if a person is not able to go through the log in process of the account due to any reason, the account will eventually be deleted or removed from the network. Now, such instances will surely affect the count of likes on the page and will see deterioration in the quantity of likes.